Add all ingredients, with ice, to a mixing glass. Stir to chill and strain into a Rocks glass over a large ice cube. 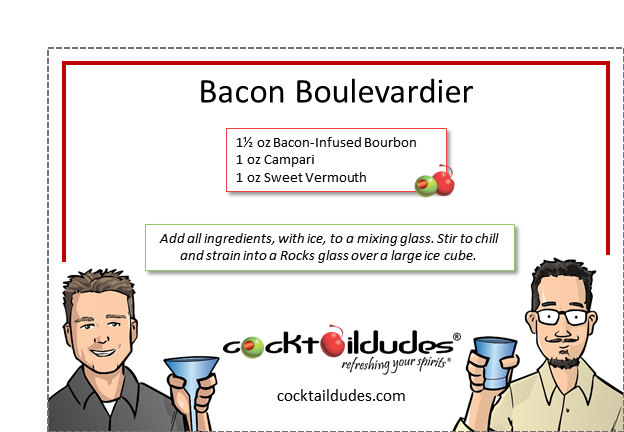 *See our Bacon-Infused Bourbon recipe/video. 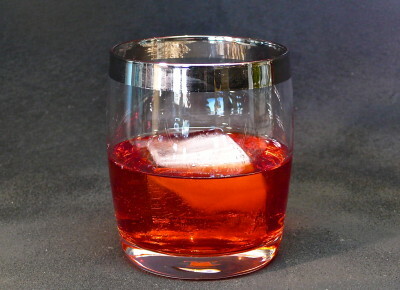 Here is a delicious, subtly smoky take on the classic Boulevardier, which has always been a nice distinctive cocktail with its rich, sweet, and bitter components. The classic Boulevardier was created at Harry’s New York Bar in Paris, right on the heels of its predecessor the Negroni. Check out the Cocktail College class on The Negroni and learn about how the Boulevardier came to be and how it continues to evolve with fun takes, like this this smoky, bacon-flavored concoction. You can learn how to make your own Bacon-Infused Bourbon, which is used here and in cocktails like the Bacon Old Fashioned and our amazing flip, the Hog Wallow.